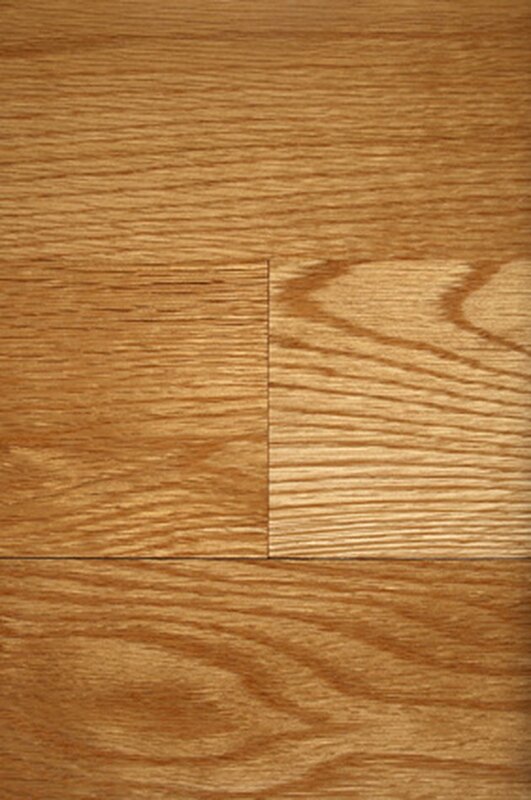 Part of the classic look of a wood floor is the staggered ends of the boards, which should never line up between courses. This is partly an aesthetic demand because it makes the floor look random and natural. There's also a structural reason: that seam between the ends of the boards is a weak point, so you don't want two of them in the same place. Flooring systems come in groupings of three or four different plank sizes to accommodate the need to stagger while still having only factory edges meeting on the floor. Cover the subfloor with flooring felt, rolling it out in slightly overlapping rows and stapling it down with a staple gun. Lay the first course floorboards alongside the longest wall in the room, with the grooved side facing the wall. Keep the board 1/2 inch from the wall to provide room for the wood to expand. (This "expansion gap'' will be covered by floor trim later.) Nail down the boards by shooting pairs of nails through the surface with a nail gun, one pair every foot. Lock the boards together by their tongue-and-groove ends. Cut the pieces on your miter saw to fit by the side walls. Start the second course at one end, alongside the first. For the first board of the second course, select a plank that's a different size than the plank alongside it in the first course. The ends of the planks should be at least 6 inches away from each other between the two courses. Knock the new board against the previous course by its tongue-and-groove side. Secure it with a nail gun. Proceed to lay the rest of the second course in the same manner, making sure that each new board doesn't line up with any other board from the previous course. Don't cut the boards (except at the end), instead choosing from the three or four stacks of different lengths to find one that will stagger correctly each time. Cut the end piece by the wall as needed on your miter saw. Lay three or four courses with a nail gun, then bring in a pneumatic stapler. Set the next boards in place, set the stapler on the previous courses with its nose down over the edge of the new board, and hit the firing pad of the stapler with your mallet. This will shoot a long floor staple into the side of the board while pressing the boards together. Install the rest of the flooring across the whole room with a stapler, staggering the rows as before. Mix up your use of long and short pieces as much as possible, taking into account not just the positions of the ends of the boards but also the supply of differently sized boards that you have left so that you don't run out of any one size. (Example: If you're starting to run out of the second-shortest board, stop using that size except when no other size will prevent two boards from lining up.) Don't cut any pieces within the body of the floor, only against the walls. Continue stapling the floor down until the last few rows, when you can't use a floor stapler because the opposite wall is too close. Lay the final few courses by top-nailing with a nail gun as before.